The GMO labeling debate is hot! Groups in at least 36 other states have efforts under way to pass state labeling bills. GMO in Your Life: In 2013, 27 countries grew GMOs and even more imported them. 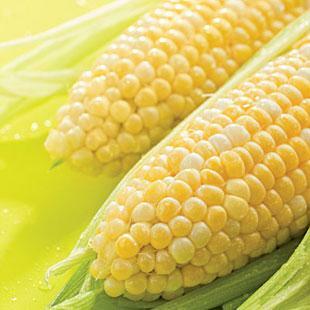 In the U.S., genetically modified field corn (for oil, syrup, meal and starch), soybeans, canola, cottonseed (for oil) and sugar beets (for sugar) are used in processed foods. In the produce section, you can find genetically modified Hawaiian papaya and small amounts of sweet corn, zucchini and yellow squash. It’s estimated that about 75% of processed food in ­America contains genetically modified ingredients. Roughly 13 new genetically modified crops are in the government review process and a salmon is awaiting USDA approval. The Label Debate: Non-GM labels are one of the fastest-growing label claims in the U.S.; trendsetter Whole Foods Market announced that by 2018 it would require labeling of genetically modified (or GM) foods sold in its stores. We asked two leaders in the debate for their take. Here are the responses prepared by Gary Hirshberg, chairman of both organic yogurt company Stonyfield Farm and Just Label It, a campaign that advocates for the mandatory labeling of genetically modified foods, and Cathleen Enright, executive director of the Council for Biotechnology Information (a nonprofit that promotes the benefits of agricultural biotechnology, whose members include DuPont and Monsanto), who also served on President Obama’s Agricultural Policy Committee. Should GMO Food Labels Be Mandatory? Americans have a right to know what’s in our food so that we can all make the best choices. Labeling ingredients, additives and processes is already common practice for us. We know how much fat, sugar and salt our food contains, if our food has been irradiated, whether it is wild or farmed, and even if our orange juice is from concentrate. Yet we still don’t have this right, despite the fact that national polls indicate that 93 percent of Americans want to know if our foods contain genetically modified ingredients. GMO-labeling requirements already exist in 64 countries, including some of our trading partners like China and the European Union. Despite industry claims that GMO labeling will increase food prices, this hasn’t occurred in countries, such as Brazil, that already require labeling. There are many reasons that citizens want genetically modified labeling. Some are concerned about the lack of long-term, independent testing for health, allergen or environmental impacts. Many are concerned that claimed benefits of genetically modified crops have been subsequently proven false, such as higher yields. In addition, USDA data show that hundreds of millions more pounds of herbicides are being used as a result of genetically modified-crop proliferation. This has led to an explosion of herbicide-tolerant weeds. Mandatory GMO labeling by the FDA is the only way to go, as the system of voluntary labeling has failed. (In 2001, the FDA issued a draft guidance saying companies could voluntarily label foods containing genetically modified ingredients. Not a single company has voluntarily disclosed the use of genetically modified ingredients.) Our nation was founded on the principle of individual liberties, and there is no more basic liberty than the freedom of choice. So why not Just Label It? When my daughter was young, she suffered from an allergy to soy, so I know firsthand the importance of food labels. The FDA requires the mandatory labeling of foods to help ensure consumers have information about the nutritional value, health and safety of a food product or that the composition of a food has been significantly changed. Hundreds of independent studies have demonstrated the safety of GMO food, and scientific and regulatory authorities around the world agree: GMO foods on the market are as safe and nutritious as their non-GMO counterparts. So absent a food-safety or health risk, what would a mandatory label tell consumers? From my perspective, the answer is an implied warning when consumers have no reason to fear. Genetic engineering is simply a modern plant-breeding technique that helps to develop new seeds with precision. The technique can help corn better survive drought and Hawaiian papaya resist disease. Humans, pets and livestock have eaten GMOs for almost 20 years, and there is no credible evidence that a safety or health concern exists.